Back at the height of the Middle Age (ca. 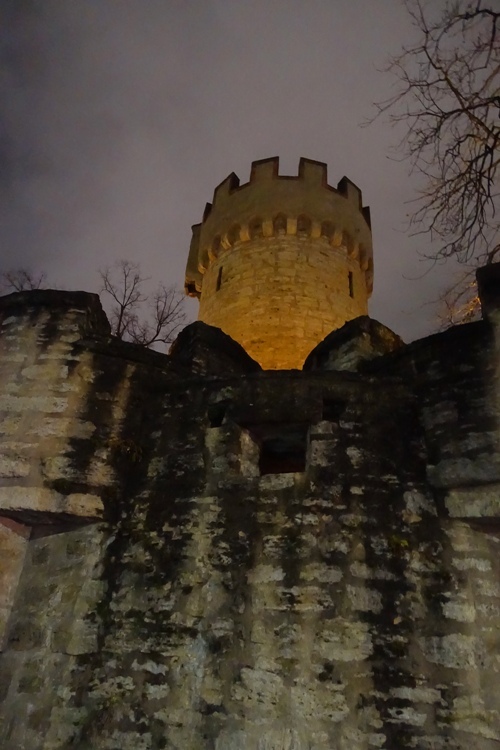 1300) Jena, Germany was a walled city. Today you can still see some of the remains of the fortifications, including the four corner towers. I really need to someday write a post about the city walls, but don’t have time this morning. Instead I will share some pictures of one of the corner towers. This is the Pulverturm or Powder tower. It was the Northwest corner of the city during the Middle age. 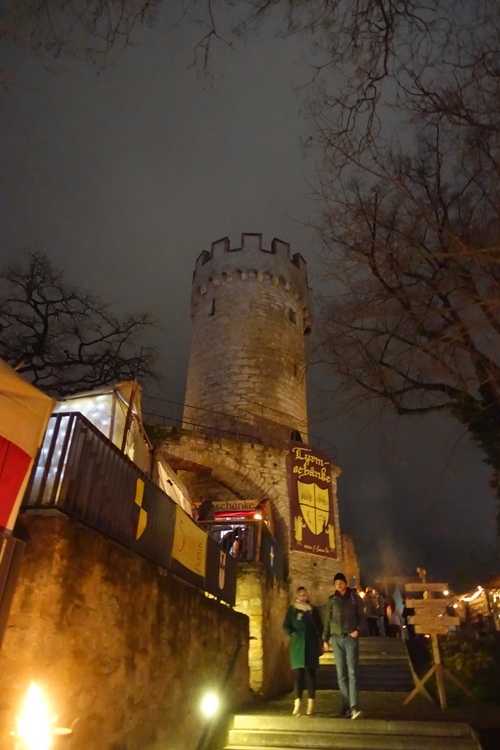 This year they are holding a historic Christmas market in the area around the tower. The Pulverturm is about 20 meters high with only one entrance on the internal side of the wall. As the name implies it would have been where gunpowder was stored for the defense of the city. The bottom of the tower is surrounded by a circular rampart. There is a large tree near the tower. 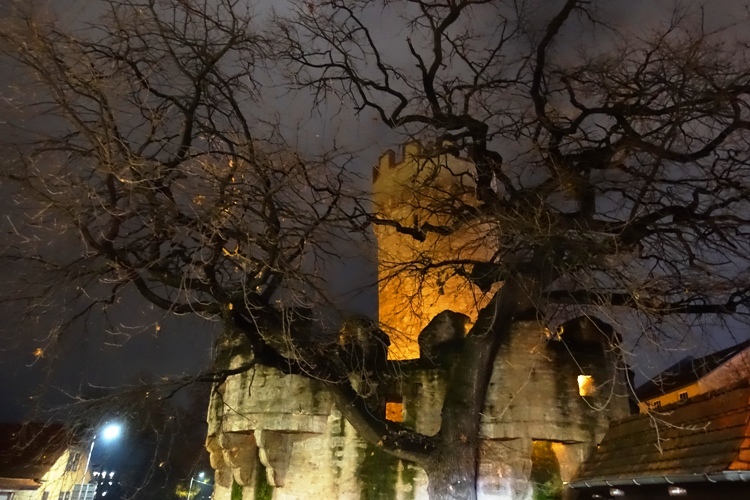 Of course, this tree was not there at the time the tower was in use, but today it makes for some interesting pictures. Especially in winter time when the branches are bare. 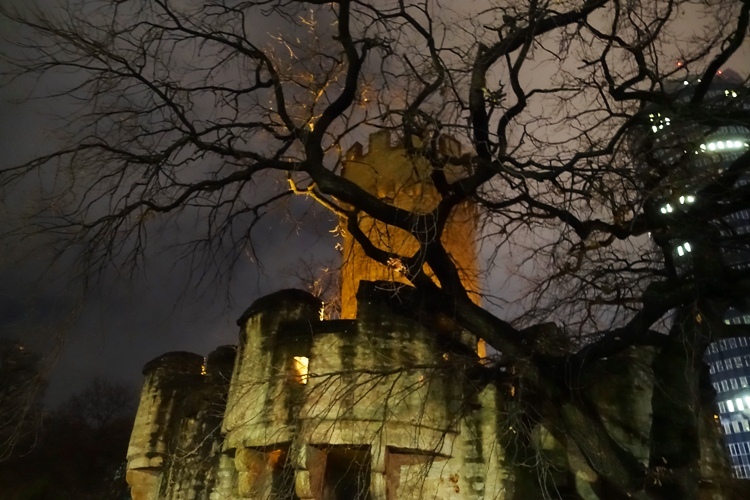 I really like the patterns of the branches silhouetted against the sky and tower. It was nice to wander through the area and see the historic Christmas market. It helped work up an appetite for another wonderful meal at the nearby Stilbruch. 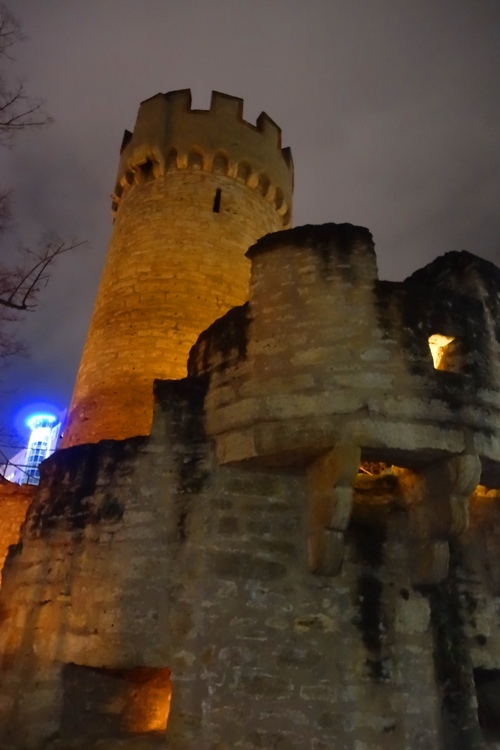 This entry was posted in Archaeology, Germany, History, Travel and tagged Fortifications, Historic Christmas Market, jena germany, Middle Age, Pulverturm, silhouettes, Tower. Bookmark the permalink.